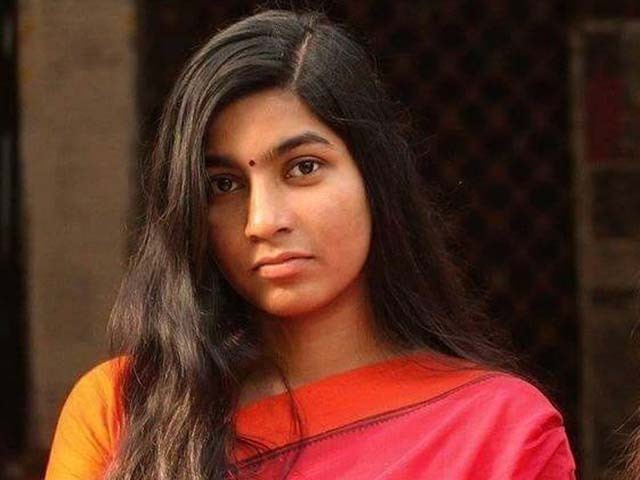 Dhaka, Aug 14 (Just News): A Dhaka University female student, also a quota reform movement activist, was picked up by Detective Branch of police on Tuesday evening from in front of the university’s Shamsunnahar Hall for her alleged involvement in spreading rumour during the recent student protest. Sheikh Tasnim Afroz Emi, a master’s student of Sociology department and also resident student of Shamsunnahar Hall, was picked up by DB police around 7:00pm, witnesses said. 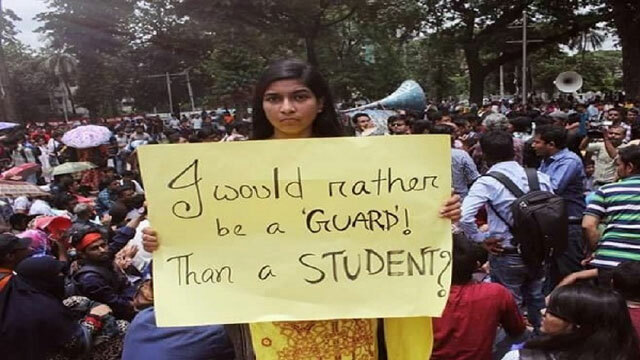 Dhaka Metropolitan Police’s additional deputy commissioner (media) Md Obaidur Rahman said that she was arrested by the metropolitan police detective branch’s serious crimes unit for spreading rumour to divert the recent student protest demanding safe road to other direction. Emi was a former general secretary of 'Slogan 71', a pro-liberation war organisation loyal to ruling Awami League. Witnesses said, Emi was taking tea in front of Shamsunnahar Hall with one of her friends. Some civil dressed DB officials asked her to go near their white microbus and picked her up into the microbus. Dhaka University proctor Professor AKM Golam Rabbani confirmed the matter. ‘She was taken for interrogation for her alleged involvement with ‘cyber crime’,’ said Golam Rabbani.